A July question to cool you down. Here’s a pretty sticky July question to print out, fold into a pleated fan, and use to cool yourself down while you consider its myriad possibilities and implications. 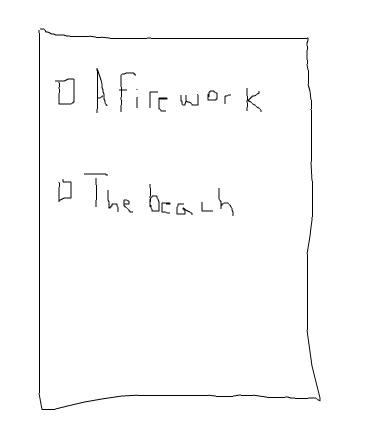 Would you rather be a firework or the beach? It’s tricky. One thing that maybe pops into your mind right away is that we’re already past the fourth of July and that maybe this option, the firework option, would have been more enticing had I done this post earlier in the month. “OK.” Everyone’s a critic, I guess, and you’re no different. Maybe, though, the thought that your biggest job of the year is already finished and now you just get to bask in the glory of your completed hard work and pick up smaller jobs here and there until next year sounds good to you? Sounds good to me, not that my opinion matters in these exercises. The beach, though…maybe you’re a real beach person. “THE BEACH” maybe you thought, right away, before even reading the content of the post. Well. The heart wants what it wants, and it’s not my job to dissuade you, but I do want you to consider everything you can before making your final decision. What about skin cancer? If you’re the beach, you’re going to give a lot of people skin cancer and painful burns. Not to mention drowning and, I know people who “like sharks” will get mad at me for saying this, but, shark attacks. Before these “shark people” even say anything, though, I will point out that the chance one has to die by fireworks in one’s lifetime is 1 in 340,733 and the chance one has to die from a shark attack is 1 in 3,748,067. So. This is from 2003, though; maybe things changed. I’m not sure. Firework technology could have gotten better; shark technology could have gotten worse. I don’t know. Still, you could drown (1 in 1,134). Or get cancer (1 in 7). Or get stung by a jellyfish. Flooding. Tsunami. Normandy (!). There are lots of things. But, of course, the beach is nice. Everyone loves it, including me, not that my opinion matters in these exercises. I was just at a beach recently or should I say Riisently. (The beach was Jacob Riis.) The song that comes to mind when I think of the beach is the Dead Milkmen song “Beach Song,” which is a great song; for fireworks it’s Katy Perry. Not good. (The Dead Milkmen song, though, is about how the beach is bad…maybe that’s something else to consider for you. [“This is no way to spend a summer / I’ve got sand caked on my feet / I gave my ice cream to a shark / And now I’ve got nothing to eat, no fun!”]) Fireworks are very special. You only see them sometimes, like after a baseball game or something like that. Maybe you got a firework show for your wedding. Seems like a little much, but that’s not for deciding now. They are beautiful to behold, especially the glittery ones. They are free to enjoy because they are up high in the sky; for the beach you normally have to pay for at least parking or a subway ride. Maybe you’re a firework that will be lit on Trump’s impeachment night — now wouldn’t that be special. However, dogs hate fireworks and dog owners love nothing more than to tell you about how their dogs hate fireworks, which I do understand but also is annoying. (As a dog owner I am allowed to complain about dog owners.) 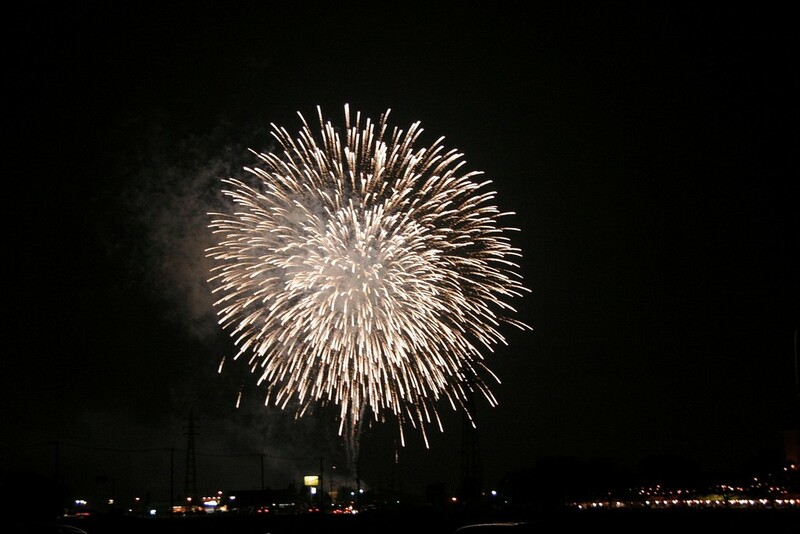 Your display is very brief, as a firework, but maybe that’s a plus for you. Just a quick little burst of joy and that’s it. Not a whole languid day under the sun. Fireworks demand your attention; beaches allow you to do your own thing. Read a book, close your eyes. A few months ago I went to a beach in San Diego and had fish tacos and then closed my eyes for, like, hours. It was extremely enjoyable, not that my past experiences matter in these exercises. I also watched the fireworks on the Fourth of July with some friends on a roof and it was just so pleasant I could hardly believe it. But then there’s also the death, etc. As you can see, it’s a tough decision.